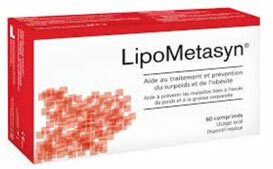 LipoMetasyn is a fat blocking capsule manufactured in France by OTC Trade. 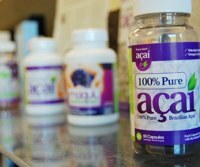 The company also produces a capsule (GlucoMetasyn) that aids carbohydrate metabolism and is alleged to be capable of preventing metabolic syndrome but, at the time of this review there were no other products. OTC Trade are a highly reputable and respected company that have been in existence for over a decade – they are targeted to a French speaking customer and the marketing material reflects this. Claims : To offer a natural way of blocking the absorption of dietary fat. Treat and prevent obesity. OTC Trade claim the product is “highly recommended to alleviate the risk factors of metabolic syndrome“. Each gram of fat consumed would normally provide the body with nine calories. If the body gets too many calories it stores them as fat. LipoMetasyn contains a fungus extract that is alleged to have fat blocking abilities so, if the ingredient is as good as it is claimed to be, it will prevent this fat from being absorbed. This could help prevent further weight gain and, if the product is used alongside a healthy low-fat diet and regular exercise, it may help cause a calorie shortage that will force the body to begin using its stores of body fat as a source of extra energy. This would certainly be good for treating and preventing obesity. It would also help prevent diseases caused by excess weight, but the claim about the capsules’ ability to “restore a healthy energy balance” is a little ambiguous and the claim that LipoMetasyn alleviates the risk factors of metabolic syndrome is as hard to prove as it is to disprove but, if LipoMetasyn really is capable of doing this, other brands of fat blocker should prove to be equally effective. LipoMetasyn contains undisclosed quantities of poliglusam and Vitamin C.
Poliglusam is a form of chitosan. This compound cannot be digested and also has the ability to “bind” with the fat from food. The fat that is bound cannot be digested either because the resulting compound cannot be processed by the digestive organs and enzymes. Most fat blockers that contain chitosan use a form that is extracted from the shells of water-living crustaceans, such as lobsters and crabs. 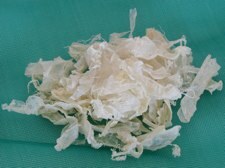 Chitosan can also be sourced from a species of fungus (aspergillus niger). This version is more suitable for people who are allergic to seafood and is also a good option for vegans and vegetarians. It is also known to be the most potent form of chitosan, but poliglusam is component extracted from aspergillus niger and there does not appear to be any proof that it can pack the same kind of power. According to OTC Trade, the presence of Vitamin C helps poliglusam form a cohesive gel that is more capable of capturing dietary fats, but they do not provide any links to studies that confirm this and our research failed to find any proof that this combination offers any benefits that would not be provided by other fat blocking products. Aspergillus niger is unlikely to cause side effects in the conventional way because it is not absorbed into the body. 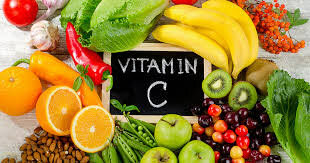 Certain vitamins (not Vitamin C) are fat soluble. The body needs them and they are generally obtained from dietary fat. 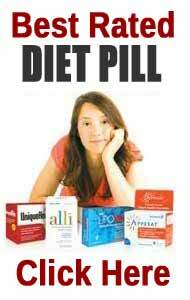 People who are using fat blockers may not attain enough of these important vitamins. This can have a negative effect on the health but it’s possible to prevent this from becoming a problem by taking vitamin supplements. 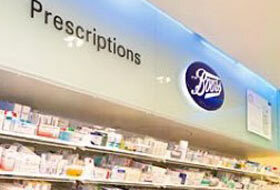 The way fat blockers work causes the faeces to become softer than normal. The faeces is also likely to be quite greasy due to the presence of so much undigested fat. 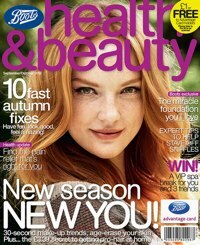 This in itself should not be an issue for dieters who are eating sensibly. Problems arise when people start using fat blockers and continue to eat lots of food that is rich in fat, such as burgers, cheese, and cream cakes. If more fat enters the stomach more will be blocked. This can cause that soft, greasy stool to become less cohesive. It will also move much faster, leading to unexpected attacks of diarrhea. People have been known to soil their underwear after combining high fat food and fat blockers in this way. Women who are pregnant or nursing a child are advised to attain their doctor’s approval before starting to use LipoMetasyn fat blocking capsules. People who have existing health problems, or are using medication, will need to be equally cautious. LipoMetasyn is only available from the OTC Trade website. There are 60 capsules per box and the price per box varies a little depending on the size of the order. A single box carries a price tag of 31,95 €, but its possible to save around 2,50 € per box by adding a second box to the order or ordering a box of GlucoMetasyn as well. OTC Trade does not offer a money back guarantee. LipoMetasyn should help assist weight loss by blocking dietary fat, but we cannot find any evidence to suggest it will outperform competing products. The lack of customer feedback is also an issue because there is no way of knowing how well the capsules have performed for past users. If OTC Trade were offering customers a money back guarantee this would not be so much of an issue, but they do not appear to be doing so as far as we can see.. There are competing products that do have a guarantee and have also accrued good customer feedback so we cannot give LipoMetasyn a recommendation until these issues are addressed. Our top is choice is PhenQ, a multiple benefit weight loss pill that can be used by practically anyone. It has three weight loss actions. It can burn body fat, stop the creation of new fat and also reduce appetite. 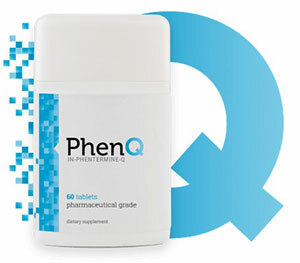 PhenQ is available without prescription and has a 60 day refund policy. You can buy directly from the manufacturers own website (exclusively) and you will not be asked to pay a delivery charge anywhere in the world.